This is our line of single ingredient herbal tinctures. 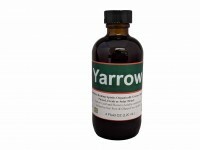 We also make blended tinctures which can be found here. Sage Mountain and Healing Spirits tinctures are carefully blended by hand and made in small batches following the time honored method of traditional herbalist. All of our tinctures are made from certified organically grown or ethically wild crafted herbs, over 95% of the herbs used in these formula come from Healing Spirits Herb Farm. Sage Mountain Herb Products are skillfully formulated by ROSEMARY GLADSTAR and are her personal favorites, collected over 30 years as a practicing herbalist. Healing Spirits tinctures are formulated by MATTHIAS AND ANDREA REISEN. Tinctures are very concentrated and “medicinal” tasting. We suggest mixing them in a small amount of water, tea, or juice to dilute the flavor. 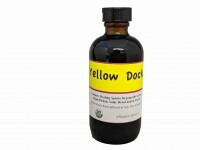 Suggested dosages 1/4 to 1/2 teaspoon three times daily for chronic problems. 1/4 teaspoon every 1/2 hour or as needed for acute problems.